The wet market makes for an interesting visit. Although we didn’t eat there, we did enjoy watching the locals buy fresh fish, eels, shrimp, frogs and other creatures of the water for their dinners. 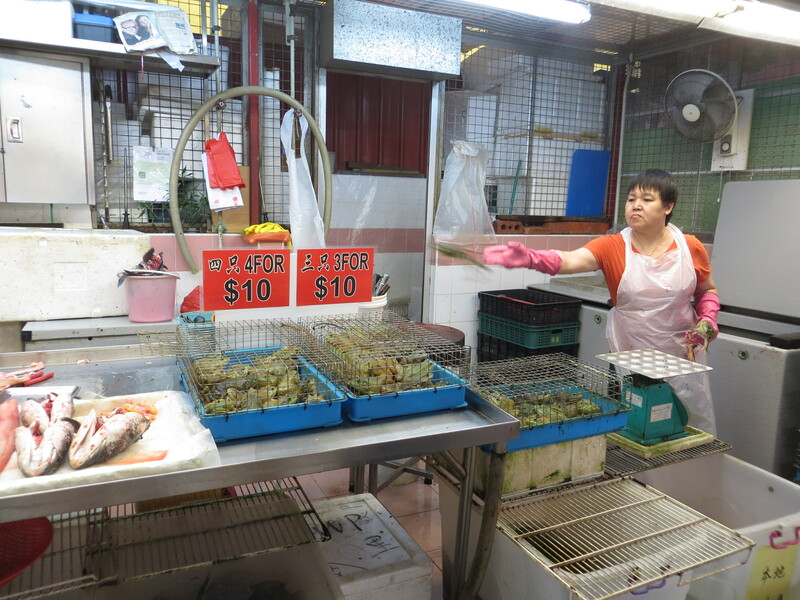 At the Chinatown Wet Market, this vendor was grading the frogs and throwing them in the proper cage; higher grades in the 3 for $10 cage, lower grades in the 4 for $10 cage. See the frog flying in the air to his destiny? …because everyone wants mashed potatoes-to-go, right? 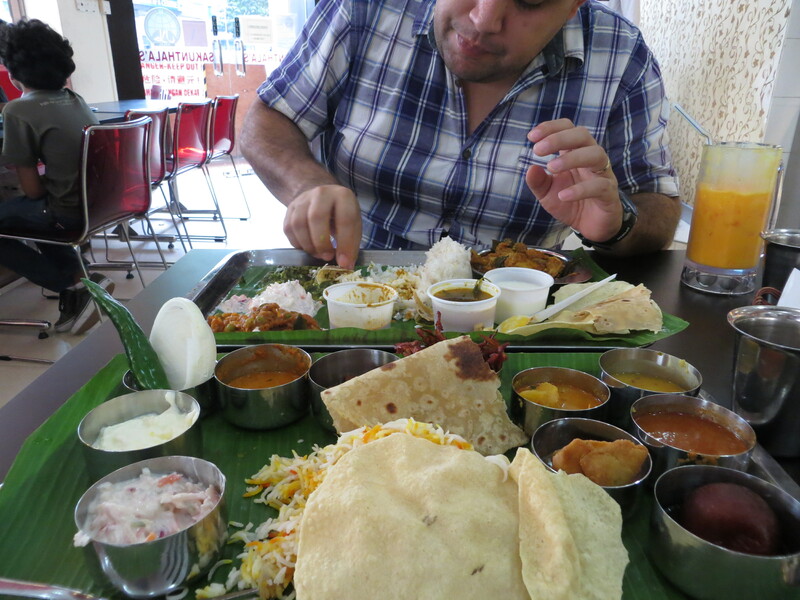 We had to try Indian food in Little India. Although not sure what everything was, it all tasted so good, some things a bit spicier than others. At Sakunthala’s Restaurant, across the street from Mustafa Centre, Armando was excited to eat like the locals, with his hands. Singapore is known for their Hawker Centres. 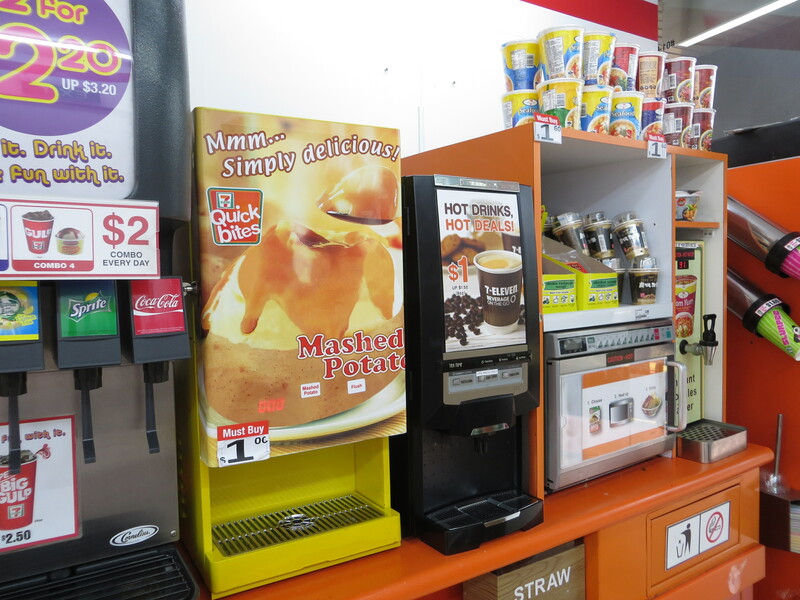 These are pretty much like food courts but have some interesting differences such as some vendors serve the food to you once you’ve placed your order and napkins can be obtained from people walking around selling them. 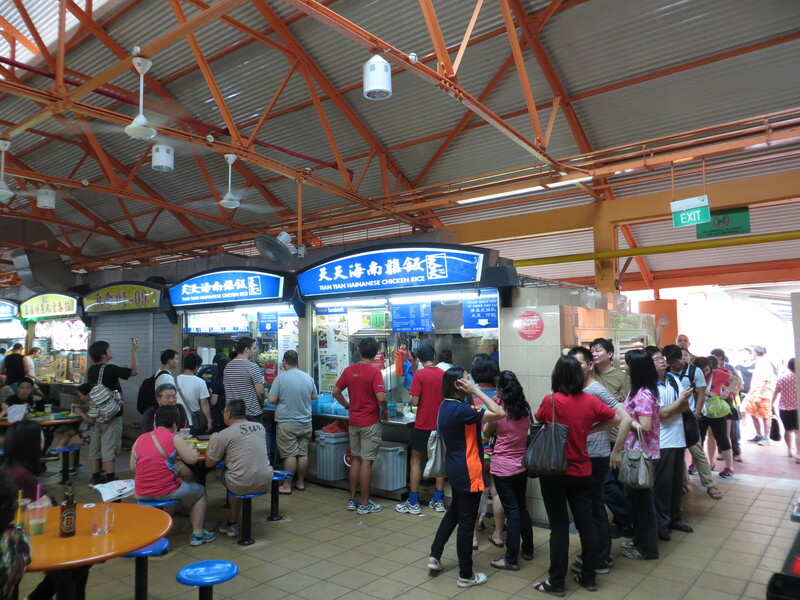 For people on a budget, hawker centres are THE place to eat. This is Tian Tian Hainanese Chicken Rice station. The dish was actually endorsed by THE Anthony Bourdain! It must be good then, right? 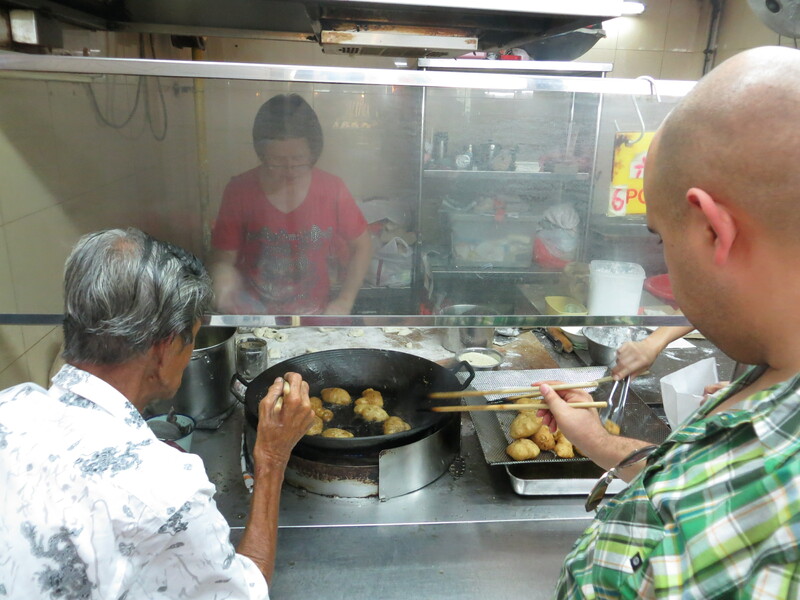 A few Singaporeans that talked to us insisted that we try the Chicken Rice dish. It has to be good if multiple people are recommending it so we thought we’d give it a try. First rule at a hawker centre…go to the longest lineup. Check. Can you see Armando waiting in line above? So this is the much talked about, Chicken Rice. Looks “blah”, doesn’t it? It actually has a bit more flavour than it looks but not much. Unfortunately, thumbs down from both of us. Our favourite find in Singapore? Well, at least my favourite find was the cook-it-yourself, Hum Jing Pangs. They are deep-fried dough either with a 5-spice salt mixture on the outside or a sweet red bean paste filling on the inside. The woman moved at a fast pace, rolling, stuffing and throwing the dough into the wok. Then with large chopsticks, you need to fry them yourself, turning them as needed until they are nicely browned. Then you take them out of the oil, throw them in icing sugar if you want and bag them yourself. With the do-it-yourself method, it was so cheap, and so delicious! Armando cooking up some yummy Hum Jin Pangs. I’m salivating just thinking of them!